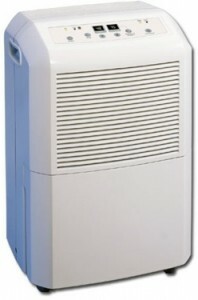 If your house is damp, using a dehumidifier is vital. Running the dehumidifier can also help keep your thermostat a little higher in the summer, because humidity makes heat feel more intense. But when your dehumidifier is full, don’t dump it down the drain. Take the collection bucket outside and use it water your garden or the lawn. There’s no reason to dump perfectly good water down the drain. Really? It killed your lawn? I’ve never had that happen! I wonder what would cause that!